Comox, BC, was the west coast base for Lancasters through the 1950s and 1960s. 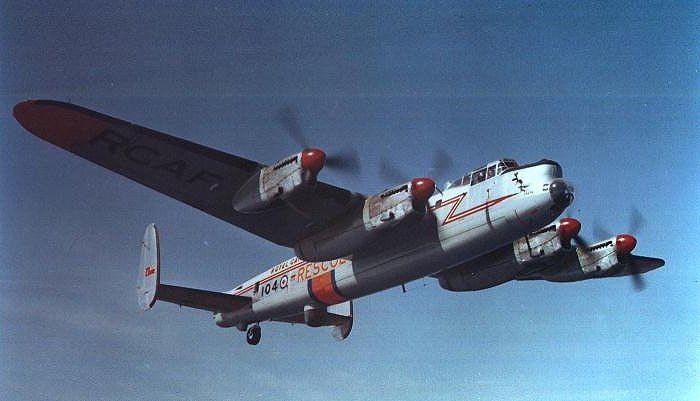 The Lancaster FM104 going to Victoria was built in Toronto in 1944. It served for many years on the east coast until its retirement from service in 1966. It was then displayed on a plinth on the Toronto lakeshore for more than 30 years, explains the BC Aviation Museum, until it was partially restored. Before this initial restoration effort was complete, the Lancaster FM104 was disassembled and put into storage for several years.